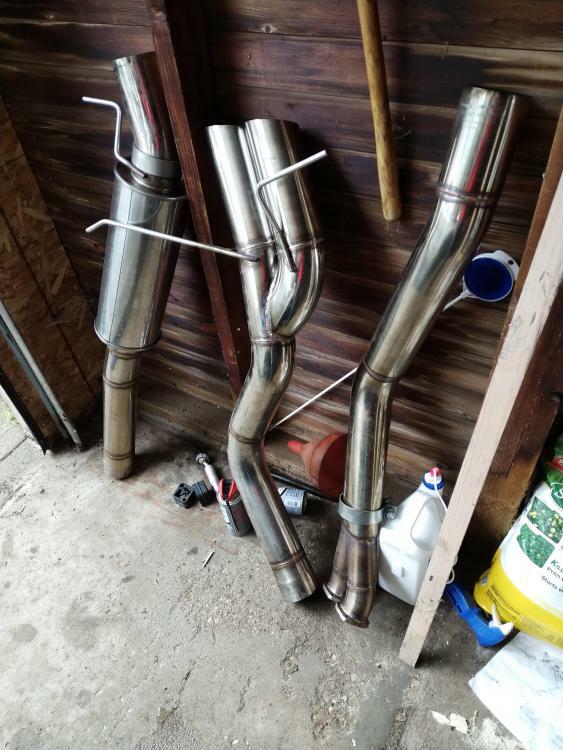 BMR 3.5" exhaust for e8x / 135i for sale. Exhaust is about 4 months old / has minimal wear. There is one scrape on muffler, but doesn't effect anything. Comes with clamps. Yes its really nice exhaust, just too loud for me. The perfect time to install a "new" exhaust is while changing out the clutch... Just saying, lol. 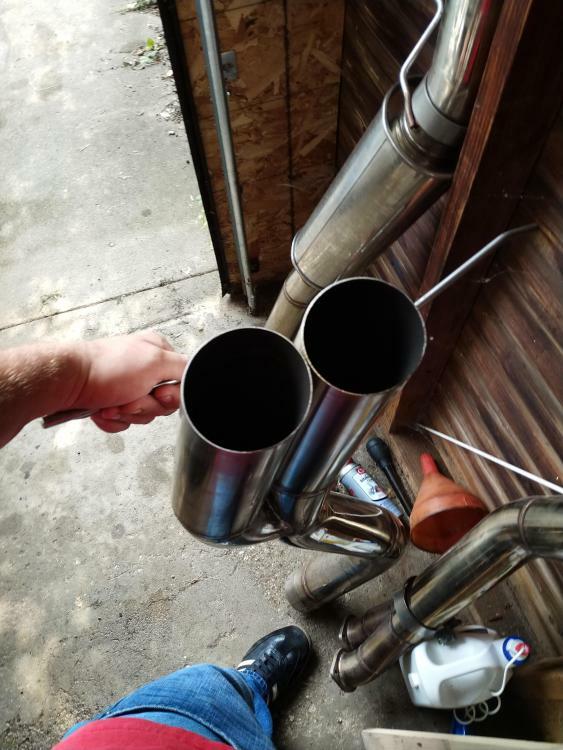 Any interest in trading for a custom 3" exhaust? How loud is it? Any mufflers on it? It's pretty loud, similar to this BMR exhaust with only one resonator. But you could always have another muffler welded on!